Hoosiers know that Indiana is more than just Indianapolis. A little city just to the south of the capital has quite a crafty reputation, and we asked fellow conner and all around crafty badass Talia Halliday to create this crafty city guide to Bloomington, IN. 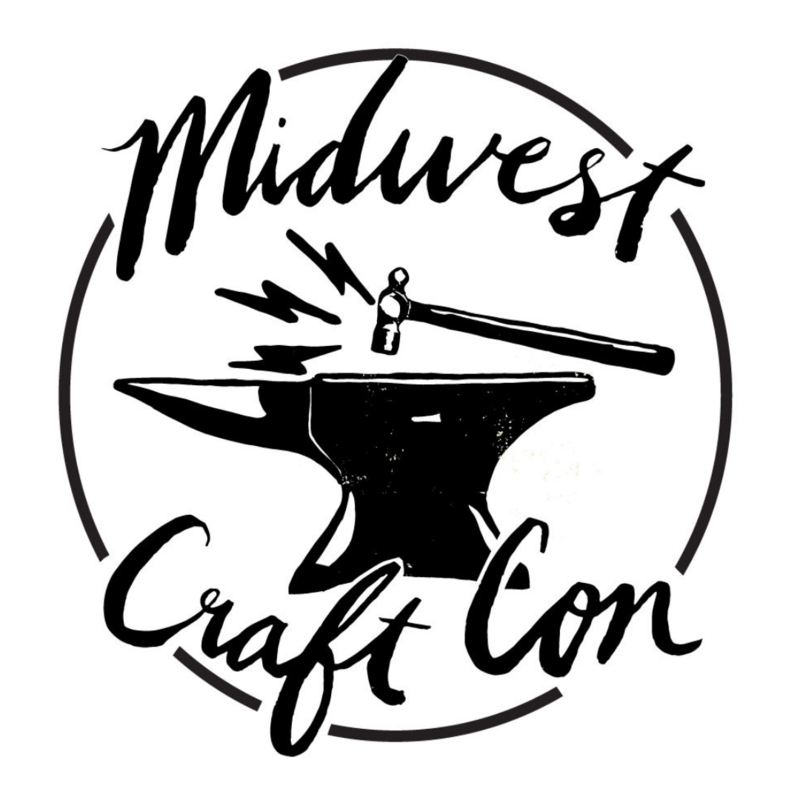 Public service announcement: The next Midwest Craft Con is Feb, 16-18, 2018, in Columbus, Ohio, and tickets are on sale now! Gather is located in the heart of downtown Bloomington and carries the handmade work of over 300 makers from the Midwest and beyond, focusing on modern and independent handmade designers. Gather also hosts bi-monthly craft nights and is home to a monthly changing gallery as part of Gallery Walk Bloomington. The Venue is located in a quaint Victorian house just off Kirkwood Avenue, close to Indiana University, focusing on “the finest in artistic and functional, handcrafted works of art.” They also host weekly events spanning from art talks to music. A handmade art gallery co-operative featuring ceramics, textiles, paintings, drawings and woodworking, as well as an extensive jewelry selection. Made focuses on selling the artwork of emerging makers in the Bloomington area. Artisan Alley is also the home of businesses including venue rental, artist studios, art galleries, co-working space, music studios, a cidery and so much more. Bloomington’s very own hacker space! A space for sharing tools and knowledge to make stuff! Bloominglabs is Indiana’s first maker space. The John Waldron Arts Center houses a unique blend of artists, performers and educators. They host many stage performances, four galleries and art classes for all ages. Located on the near-west side of downtown Bloomington, the Fell houses working artists’ studios, small businesses and a bakery. Opening in 2018, FAR will be host to a gallery, library, venue rental space and so much more. Bloomington Handmade Market: Organized by Gather, BHM will be celebrating 10 years in 2018. BHM has a holiday show the second Saturday in November featuring 80+ indie makers at the Monroe Convention Center. And in 2018, BHM will be rolling out its first outdoor summer fair on the first Saturday in June. Fourth Street Art Fair: Created in 1977 and held over Labor Day Weekend, Fourth Street Art Fair is one of the premier fine art fairs in the Midwest, featuring artists and craftspeople from all over the country. The best place to find in vintage clothing in downtown Bloomington. Nuff said. Located in one of Indiana’s most vibrant downtown districts, the Historic Bloomington Antique Mall features quality antiques merchants, artists, and artisans, in 50 showcases and 120 booths. The place to go for mid-century modern furniture and fixtures — also home to a funky fun mix of industrial fixings and decorative arts. This tea shop downtown makes their own loose-leaf teas and serves local coffee and pastries. Locally owned (of course) by two strong lady bosses and makers, the shop hosts monthly craft nights, knit nights, games nights and more! Best coffee shop in town owned by the best people. Hop has two convenient locations, the best modern style and the tastiest coffee. Also in the Fell Building and owned by the family behind Hop, Rainbow is a vegan bakery that has amazing pasties, donuts, muffins and cookies. The Twin Peaks references and the plant wall make this my favorite! Talia Halliday is the owner of Conduit Press, an arts business specializing in hollow books and leather goods. She also organizes the Bloomington Handmade Market with the help of a few very opinionated minions and runs her own brick-and-mortar shop called Gather in downtown Bloomington, IN. Previous News about our future! Next Your printable 2018 resolution worksheet! For those looking for needlepoint supplies, check out Fancy Works. Great place and fantastic people!